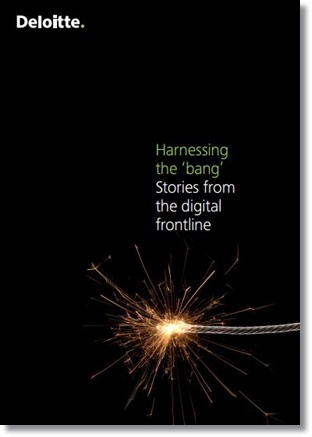 In a recent report from Deloitte, Harnessing The ‘Bang’, Stories From The Digital Frontline, Deloitte updated its assessment of the effect of digital disruption, underscoring that the speed of change is accelerating and impacting businesses big and small across Australia and the world. The next twelve months will be a turning point for SMBs; whether they embrace the digital disruption or not. Current research on cloud computing highlighted that nearly 70 per cent of businesses are still not utilizing cloud technology in a fundamental manner. Thus two thirds of business owners are failing to capitalize on a key fundamental strategy of competitive advantage: cloud-based accounting. This hesitancy among SMB owners and managers may be attributed to the fact that many are simply not cognizant of how far such technologies have advanced during the past 48 months and thereby unmindful of the positive influence cloud technologies can have on their business. “Every business owner can relate to the desire to spend less time on day-to-day transactions, paying staff and suppliers and scrambling to balance the books at month end,” writes SMB tech watcher David Hill in a recent article at his My Small Business column. “Most business owners want to spend more time on the bigger picture; the things that helped their business succeed in the first place – working on the business, not in the business. Done right, adopting cloud technologies can now help make this a reality by providing business owners access to real-time accounting and live information at their fingertips,” adds Hill. For example, many SMB owners and managers owners only get their financial statements well after the conclusion of a financial year, which makes it difficult for them to have an accurate assessment of their business’s financial performance and health throughout the year and difficult for them to make timely decisions based on the lagging information. The cloud-based accounting revolution is changing all of this, giving savvy SMB owners the ability to access their ‘real time’ financial information from anywhere at any time and on any device. This ability to provide business owners with a real-time view of their financial performance proffers the promise to forever alter the way they think about their business and the speed with which they move to optimize the performance of their company. What this means for accountants and their clients is that the cloud-based accounting revolution is setting a new standard for what entrepreneurs and their SMBs can expect from their accountant. No longer must a business owner anticipate waiting until after year end to know how their business performed during the past year. Real-time, cloud-based accounting makes the entirety of financial data flow quicker and easier. A cloud-based platform with an open architecture will allow you to utilize other apps, which is important as your business grows and adapts to a changing environment. Is there a way to view everything in snapshots across your business financial data? Do the apps you select work in sync to provide the insights you require via a simple, intuitive dashboard? 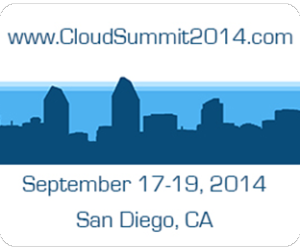 Compile your research and select a reputable cloud provider. Make certain that you have a clear understanding of where your data is held; who owns your data and how and when your data is backed up. Doing nothing is not an option. Move to the cloud-based accounting revolution now so you don’t miss out on the opportunities to gain a key fundamental competitive advantage.